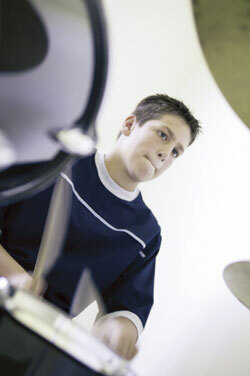 The Halifax drum school presently teaches over 150 students. We welcome beginners through to advanced, roughly from age 6 upwards. The school strongly supports older learners and believes it is never too late to start. The school, which is professionally soundproofed is fully equipped with two kits, video facility (on request), and PA for playalongs. 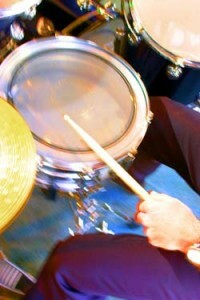 Martin, the schools founder, has developed his own, unique approach to teaching the drums using cutting edge technique, gained through years of playing with world class musicians in a variety of settings, from TV to theatre, from arenas to recording studios. The school aims to build on your playing confidence if you are already playing or give you a strong foundation if you’re starting out. Drumming day ‘’experiences’’ spend a day in the drum studio, and if you’re a beginner, we’ll aim to have you playing a song by the days end- enquire for further details, also see our ‘buy online’ page for vouchers/gift ideas. Plus hundreds of play alongs, or bring along a piece of music/track you’d like to learn. Assistance in preparing for auditions, performances, specific set pieces, is also available. The school has successfully helped all students undertaking their grades to achieve 100% pass rates, with most achieving distinctions. latest’ section on the homepage, as sometimes a second hand kit could be the answer. Lessons will be conducted in a friendly but professional manner. We will be honest with you concerning your abilities and goals. Students are expected to put in the practice time realistically required to meet their goals. Guarantees of progress can not be made otherwise.